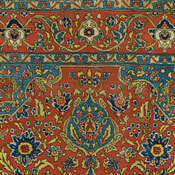 The antique Dorasht carpets, typically commissioned works of grand scale for local and European nobility, were woven in the Khorassan district of Northeast Persia. This mountainous region, less well known in the Western world as it was geographically separated from the major centers of Western Persia by the Great Desert, has an illustrious history of antique Persian carpet weaving dating back to the late sixteenth century. 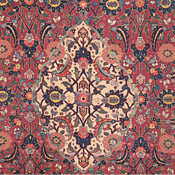 Some of the highly venerated “Herati” carpets may be ascribed to early Dorasht weaving. 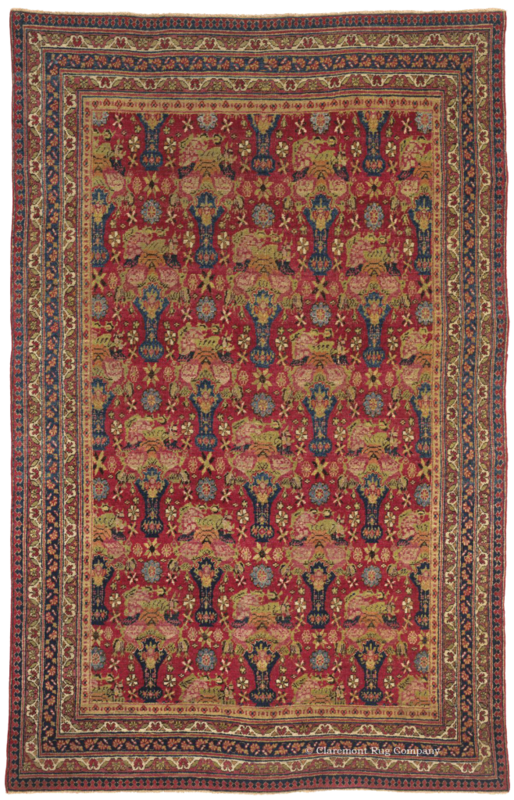 Although the weavers of the antique Dorasht rugs utilized a similar blue-red dye, the cardinal hue of this northeastern district, they added bountiful use of ivory, extreme shades of indigo, and on occasion a beloved, naturally undyed camelhair. 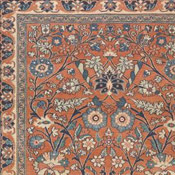 In terms of antique carpet design, an overall repeat of petal-formed medallions, placed in diagonal rows and rendered with distinct, almost crystalline natural dyes, may be their most celebrated design. Grand sunburst central medallion designs and astonishingly intricate allover designs are also found. Dorasht antique rugs are also typically quite high quality in their craftsmanship. 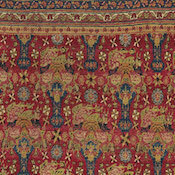 Most were woven with a high knot density, unusually fine for carpets of this grand scale. The pile was cut very low in contrast to the rather thick “handle” of Meshed carpets, which accentuates the extreme detail of these finely etched patterns, and yields a thin, yet quite durable antique Oriental carpet. 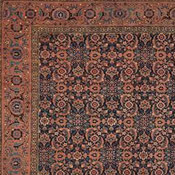 An inordinate amount of time, and many weavers, were required to complete an undertaking as grand as the weaving of the room-size to palace-size antique Dorasht carpets. The unusual blue-red dye, in most cases, was procured from an expensive, imported dye from the cochineal beetle. 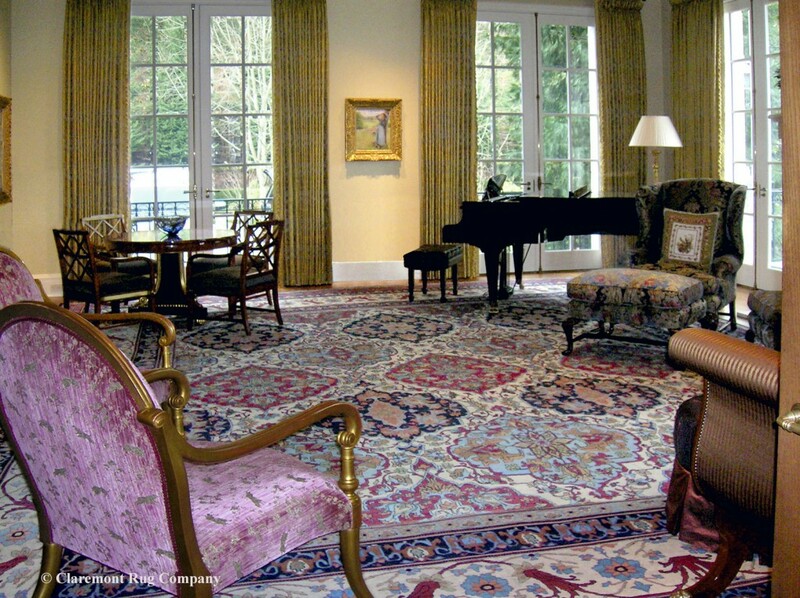 Distinguished antique carpet patterns and grand proportions make the Dorasht an exemplary choice for large rooms demanding a formal decor and fine antique furniture.